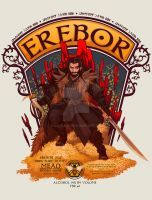 Durin's Beard...I will go to Middle-Earth hell for this. 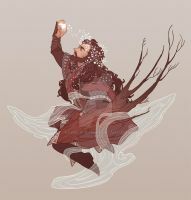 Awesome drawing! You should regret nothing! You're welcome!! Wait...A COLOURED VERSION?! MUST GO SEE! Aw! The boys will get away with this, and for that I am even more impressed! If you are going down, you are taking us all with you. THIS. IS. SO. ADORABLE. Buahahaa! 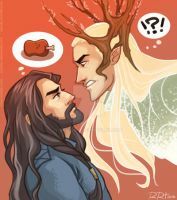 Thorin's expression! Not feeling so majestic now, aren't ya? ME LOVES. Ah-ha! So many lols! It's just too cute! 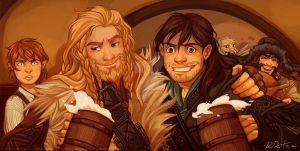 Kili: "Come now, Uncle. Where's the harm in a little fun?" Thorin: "When your so called 'fun' costs me my dignity!" 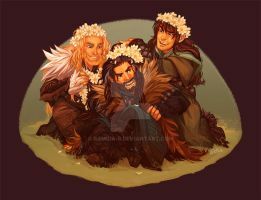 Fili: "But Uncle, they're just flowers." Lolwut. WHAT IS GOING ON, HERE? this is freaking adorable. and i really like your sketching style. very solid and expressive.